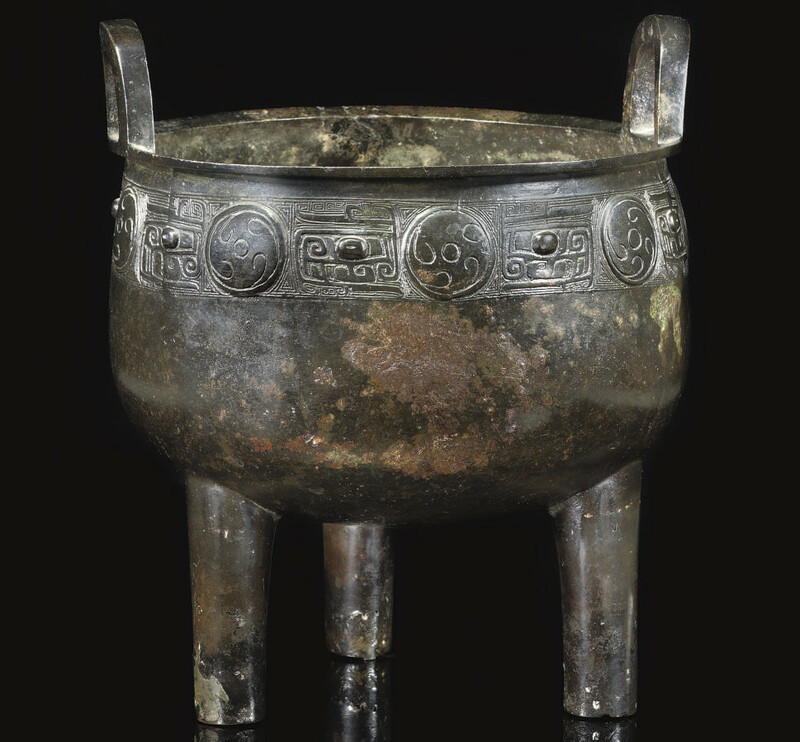 with twin upright handles, moulded and incised to the rim with raised roundels flanked by the two halves of taotie masks depicted with archaistic geometric motifs -- 13 3/16in. (33.5cm.) high. The Property of a Lady.